During a war between two planets in the same solar system – each occupied by adapted humans – what is thought to be a cosmic superstring is discovered. After being cut, this object collapses into four cylindrical pieces, each about the size of a tube train. Each is densely packed with either alien technology or some kind of life. They are placed for safety in three ozark cylinders of a massively secure space station. There a female research scientist subsequently falls pregnant, and gives birth to quads. Then she commits suicide – but why? By the end of the war one of the contesting planets has been devastated by the hilldiggers – giant space dreadnoughts employing weapons capable of creating mountain ranges. The quads have meanwhile grown up and are assuming positions of power in the post-war society. One of them will eventually gain control of the awesome hilldiggers . 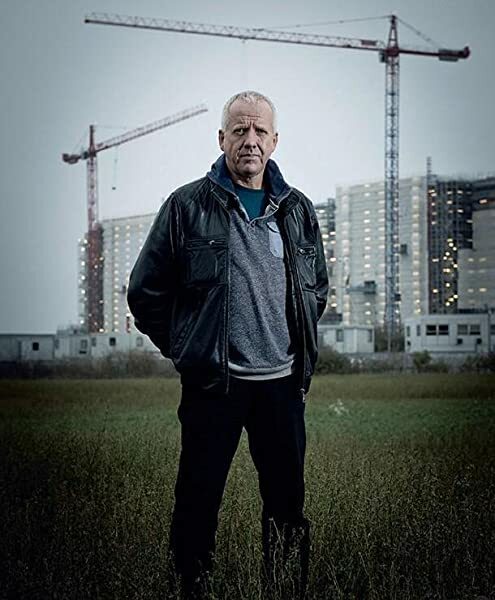 . .
Start reading Hilldiggers on your Kindle in under a minute. Honestly, I think I was underwhelmed by this book. It did not feel connected to the previous book in the series, and the universe in which it is set feels quite dry. I think I agree with some of the other comments that the events in the book seem sometimes a bit set up and artificial - you just have to wonder, do the actions of the characters / AIs involved *really* make sense. For me it was an OK stand-alone story but felt a little bit like going through the paces. I also read "Snow in the Desert" and "Parasite" by the same author, and I felt that both stories had more energy and engagement, and more depth and feeling to the characters and storyline. It's fair to say though that I've not read book 3 - possibly this book is a critical linkage, but from the plot summary of polity book 3, it doesn't seem all that closely connected. Deeply enjoyable, page turner with great characterisation from on of my favorite novelists, but it doesn't get 5 stars from me because I couldn't shake off my nagging concern that this book was shared just a little too many concepts with "Inversions" by Iain M Banks, which isn't that great a book. I know it's ridiculous but my "familiarity" with these narrative devices took the edge of the book for me, even though Asher treats the concepts he shares with Inversions, like the low(er) tech civilisation viewpoint, the hidden agent/observer in a more accessible manner than Banks did but I couldn't help shaking off the feeling of deja-vu as each shared concept clicked into view. Having been recommended these books started with Prador moon and thoroughly enjoyed that, found Hilldiggers good but maybe went on too long then finished abruptly. I shan't compare him to any other writers as that would be unfair.Don't know if I started the books in the right order but will continue with shadow of the scorpion.Still a really good read and am looking forward to reading the rest, that I want to buy the while series should be testament enough! Since discovering this author via a friend's recommendation I have become addicted. I started with the Agent Cormac series book Gridlinked, but then found that the third book in the Polity series is also the first book in the Agent Cormac series so put Cormac on hold and went back to the beginning. I often seem to get so hooked into these books that I forget to go to sleep until the wee small hours - always the sign of a good story! As usual with Neal Asher it's well thought out, very descriptive, but manages to keep the action flowing. This is tricky. While I have always enjoyed Asher and his Polity universe, this story felt clunky and disjointed. 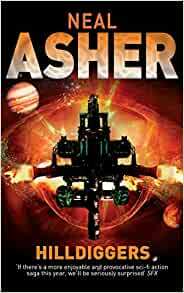 The plot used some I interesting ideas but the storyline didn't flow as well as other Asher books and I never felt I understood or even cared for the characters. 5.0 out of 5 starsAnother Asher masterpiece. once again Neil Asher has produced an exciting and riveting story. Set in the Policy universe we once again entertained by artificial intelligences ruling the human race and at the mundane level irascible drones capable of just about anything. a story that grips you from the start and never lets you go till the last page when you cry out for more, more, more.